Check out this clip of Kate Nash warbling her way through Girls Aloud's #1 single "The Promise" at Radio 1's Big Weekend this past May. Yes, I'm a little late with this one but better late than never. I cleaned out my GMAIL inbox of all non-essentials and this was one of the things left over. I have a love/hate relationship with Kate Nash after being sorely disappointed by her live performance in Boston but this kind of makes me love her again (despite seeing her read the lyrics from a sheet of paper and still flub a couple of them). It's a real cute rendition of the Brian Higgins-produced original. What do you think of the cover? 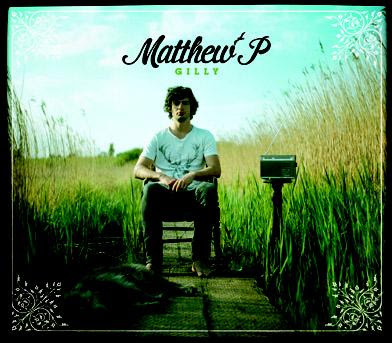 Matthew P is an artist I've mentioned before, a handsome singer/songwriter from the UK who's new single "Gilly" comes out on July 26th via Fiction Records. The artist has just released a video for the single (which I can't watch because I live in America...**GRUMBLE GRUMBLE**) but I almost don't care, it's such a catchy little diddy. Why don't you go check out "Gilly" and see what you think. There's just something about this guys voice that I really connect with. I really do hope he makes his way over to this side of the pond at some point. So excited about this! 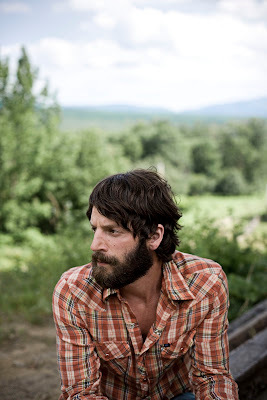 New Ray LaMontagne CD coming August 17th! 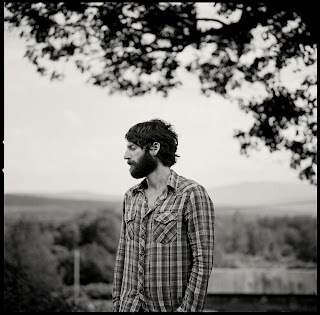 God Willin' & The Creek Don't Rise, the new album by Ray LaMontagne and the Pariah Dogs (his newly formed band) will be released via RCA Records on the 17th of August , just after his new co-headlining tour with David Gray gets underway in Columbia, MD on August 15th. The 10-track CD was entirely self produced (a first for LaMontagne) and was recorded over a span of 2 weeks at the artist's home in Western Massachusetts. I can only imagine how much an artist is influenced by his surroundings during the recording process and when the surroundings are your home - I bet we're going to hear some really powerful stuff here on this record. "With Ray's vocals at the forefront of the songs and a loose, almost live sounding recording, the album stands as a testament to a band at the height of their powers." While not the first time LaMontagne has recorded with a band, this IS THE FIRST TIME his band has been so prominently featured in a campaign. The newly coined 'Pariah Dogs' consists of Jay Bellarose (drums), Jennifer Condos (bass), Patrick Warren (keyboard), Eric Heywood (guitar), and Greg Leisz (pedal steel guitar). Individually, this talented group of musicians has worked with the likes of Beck, Joe Henry, Tom Waits, Lucinda Williams, Ryan Adams and Joe Cocker. Now those are some MAJOR credentials! 2008's Gossip In The Grain debuted at #3 on the Billboard Charts and saw promotional duties take him all over the country and television, landing the coveted Saturday Night Live musical guest spot. As a HUGE Ray LaMontagne fan (I've seen him the past few times he's come by Boston) this new album is one of my most hotly anticipated. There's something about his vocals that make me just melt. His voice is just so emotive and the lyrics so poignantly written that when they come together I just turn into a blubbering mess. While many of his songs seem to be about relationships and long gone lovers, I am able find my own personal meaning in the lyrics, whether it be about my Mom's illness and subsequent passing or something more positive. While a songwriter might be writing from a personal place, he or she is sharing those words with the audience with the expectation that his audience is going to find something personal to them. Ray's music has always touched me and I don't expect the new record to be any different in that regard. Adam Lambert premiered his new video for "If I Had You" this afternoon on his website AND on VH1.com. Directed by Bryan Barber (Outkast, Christina Aguilera) the video features Lambert prancing and dancing around a forest with a myriad of wildly costumed characters, the concept for which was inspired by Lambert's experience at the Burning Man festival and "pays tribute to a counter-culture of underground designers, performance artists and various bohemians who have influenced" him. The end result...a spectacle to say the least. It's a little bit Alice & Wonderland, a little bit rave. All in all, visually very cool. The video was filmed overnight in Los Angeles' Griffith Park. Catch Adam Lambert on tour now with Orianthi and Allison Iraheta. It's finally here! New Mark Ronson! The video (directed by Warren Fu) for Mark Ronson's new single "Bang Bang Bang" featuring Q-Tip and MNDR (aka Amanda Warner) is out and it's a fantastic visual flashback to the 70s and 80s. The song is indeed "a perfect slice of bouncing synth-hop," and a good indication of what we can expect on Ronson's new album, Record Collection. Unlike 2007's Version, Record Collection is an album of entirely original material but that doesn't mean it's lacking in the collaboration department. Assiting Ronson on Record Collection we have The Business INTL, made up of a diverse array of musical talent from across the globe including D’Angelo, Boy George, Alex Greenwald, Nick Hodgson (from the Kaiser Chiefs), Ghostface, Dap Kings, Andrew Wyatt (of Miike Snow), and Wiley to name a few. "[Bang Bang Bang is] a 3am Cote d’Azur disco beat featuring Q-Tip and MNDR that takes the French nursery rhyme “Alouette” and turns it into a Jean Michel Jarre meets NYC hip-pop sing-along. The single’s impact date at radio’s alternative Specialty format is June 14th and the mix show format impact date is June 23rd. I'm not sure if the single will lend itself to house remixes but I'm sure we can expect some cool dubstep reinterpretations. Ronson is back and he's back with a hit. "If ever there was a party anthem for a sticky hot summer, then this is it." Taio Cruz is definitely making a name for himself here in the U.S. and I couldn't be happier. His debut album Rokstarr entered the Billboard 200 at #8 and his second single "Dynamite" entered the Hot 100 at #26 (his first single, "Break Your Heart" is still doing well at #6). Check out this live performance of his new single on Jimmy Kimmel Live on June 10th. It's especially great to see Cruz doing so well without the support of a mainstream guest vocalist/rapper like Ludacris. Given that the rapper was added to the track for the U.S. release of Cruz's first single, I was somewhat worried that the track was doing well BECAUSE of the rapper, but this goes to prove that Cruz is indeed succeeding all on his own. Well done Mr. Cruz. Russian Pop Invasion! New Music From Sergey and Valeriya! I love me some Russian Pop Music! Ever since I first heard Alsou's attempt at breaking the difficult UK market with "Always On My Mind," Russian Pop stars have intrigued me. Listening last year to Valeriya's "The Party's Over" and "Wild," both of which saw decent club success in the UK, my interest in Russian Pop stars has been renewed. First up we have a new single from 27 year old Sergey Lazarev who's new electro-pop single "Alarm" comes from his aptly titled new album Electric Touch. The song appears to be the fourth single off the album, which was released in his native Russia on March 31st. Very big thank you to ElectroQueer for the heads up on this one. I haven't really been following Sergey's music but have loved what I've heard, namely remixes for his songs "Shattered Dreams," and "Everytime." I like the direction he's going in here, even though everybody seems to be going in the same direction. Speaking of Valeriya, the biggest selling female pop star in Russia, also has new material coming out. Her new single, "All That I Want" has been remixed for the UK clubs by likes of Michael Gray and DJ DLG. Valeriya is no stranger to club success in the UK, where both of her singles "The Party's Over" and "Wild" both managed to hit Top 5 on the club charts. The single is taken off of Valeriya's upcoming new album which is due out later this year. The album will also include a duet with Robin Gibb from The Bee Gees called "Broken Wings," which will also be remixed for the clubs. Two hot Russian artists I can't wait to hear more from this summer.